The Rundown: Yeah. I know. 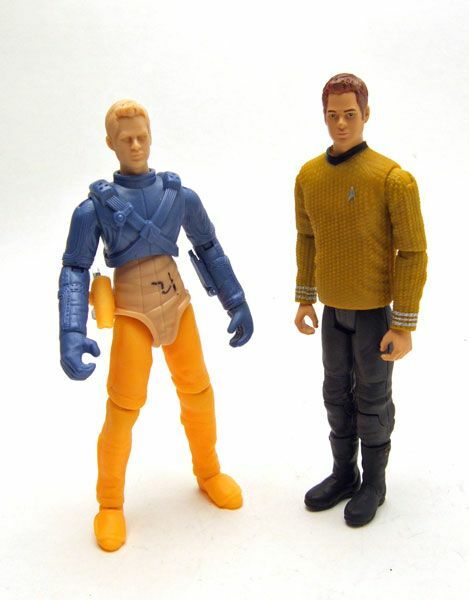 These are from the 2009 Star Trek movie and NOT the original series. What am I doing? Well, I think they are pretty sweet and I liked the new movie, so they get to be on the blog. So there. When I first heard the announcement that Playmates was going to handle the figures based on the new movie, I was pretty excited. 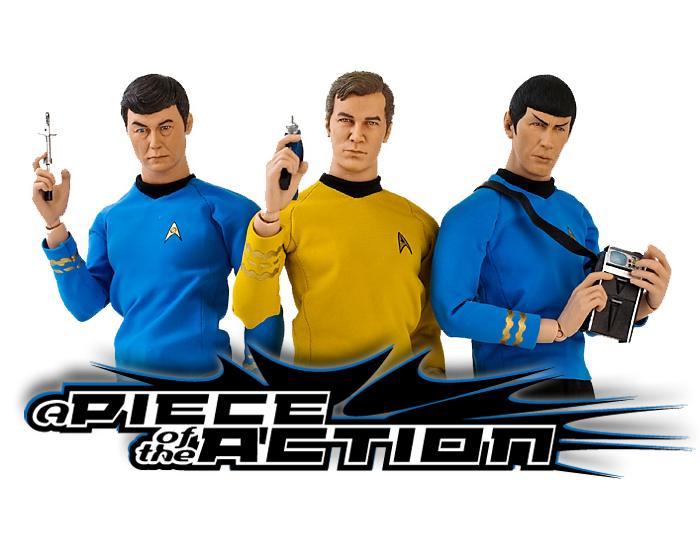 As a big fan of their original Trek toy run, I hoped that we might see releases compatible with the old stuff. Then came the announcement that they would be doing 3 scales... none of which fit with the old standard figures. Bummer. 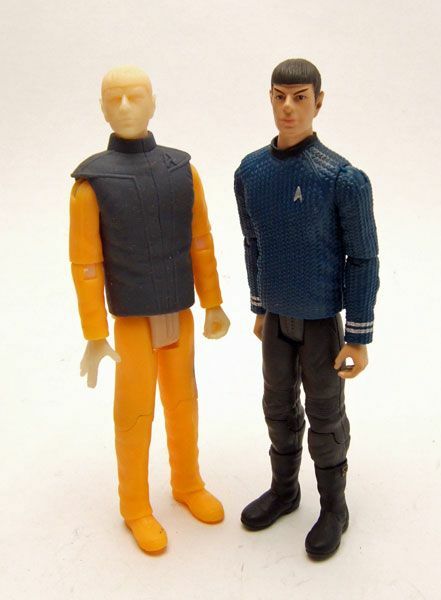 Still, I knew hoping for something in scale was a bit of a pipe dream anyway, and I was at least happy to be buying Trek figures in stores again. Do I wish the quality had been a bit better? Sure, but the pictures of the second wave figures gave me high hopes that quality would be improved as the line went on. Kinda neat, and he would have made a great addition to the academy subset, but not entirely essential. 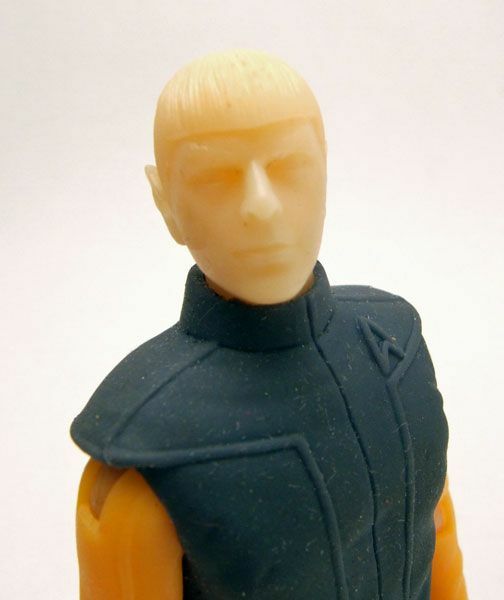 I will say though that Spock sold great in my neck of the woods, and I have little doubt that this release would have been a good seller just based on the fact that it's Spock. And Spock rules. I did want to mention how much nicer these head sculpts look when they aren't painted. It's tough to capture it in pictures, but you can really see how a mediocre paint job can really affect a decent sculpt. Next we have Kirk and Sulu in their orbital skydiving uniforms. Making these was a no-brainer for Playmates as the orbital skydive scene was one of the most exciting bits of the new movie. 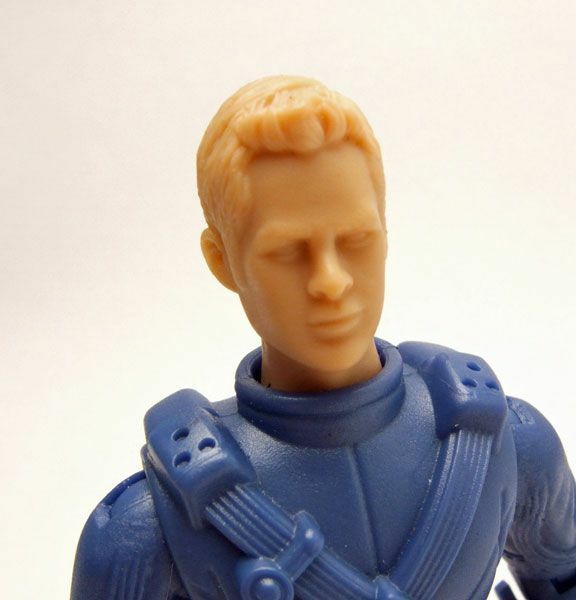 And since the uniform is identical except for color, they only needed to do one sculpt for 2 different figures. 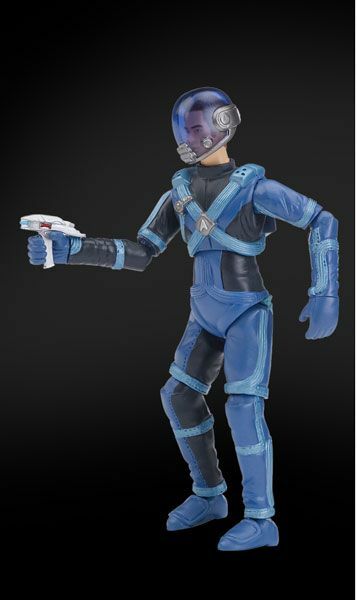 Sulu was listed in the early rundowns for wave 2, but doesn't appear on Playmates site listings for the Warp Collection. I have no doubt that he would have been made had the figures actually been released though, since all he required was a simple head switch, and there are so many test shots of this figure floating around out there. 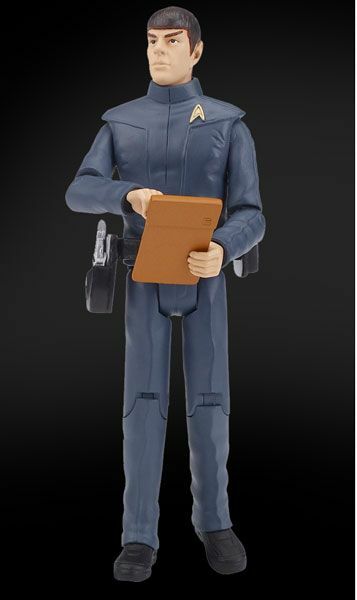 That's what Kirk would have looked like had these made it out. The body is really well done in comparison to the first wave releases. The mid torso articulation works much better without the rubber shirt covering it, and the hips are mounted on a ball-and-socket joint giving them a little bit of a wider range of movement. My protos don't have them, but the picture shows that both figures would have included removable helmets as well. The skydiving suits have a couple of other cool features that really set them apart from the first wave as well. 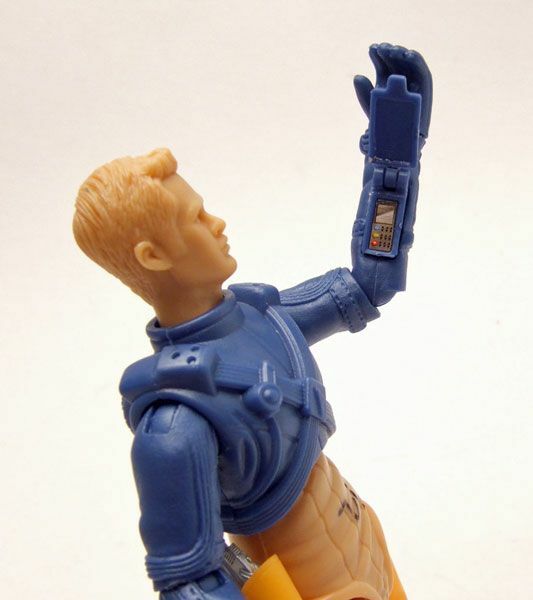 The left arm has a flip open communicator embedded into the wrist! Flip the panel open, and a small decal depicts the inner workings of a uniform-mounted communicator! 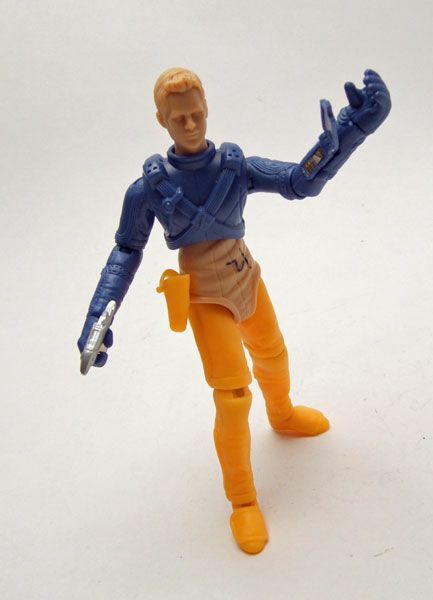 The other neat thing is the holster attached to the figure's hip. 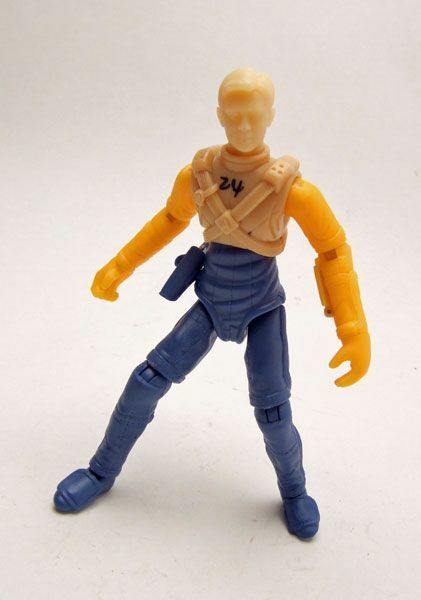 I'm a sucker for good, working holsters on action figures and this one puts the clunky belt from the first releases to shame. The phaser fits in snugly, and there is a little strap that closes over it. Nice! 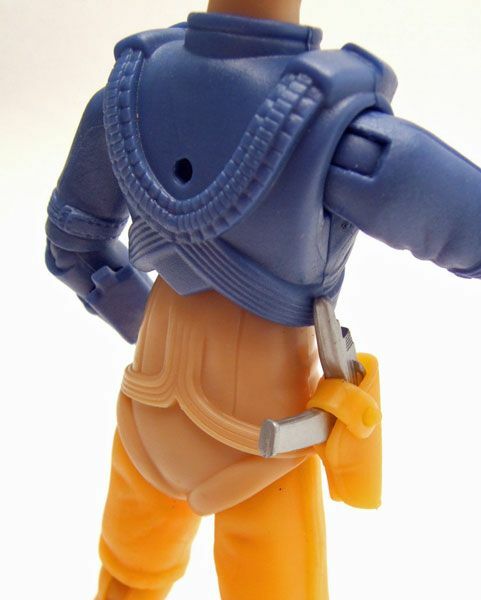 Oh, and notice the small peg hole in the figure's back? 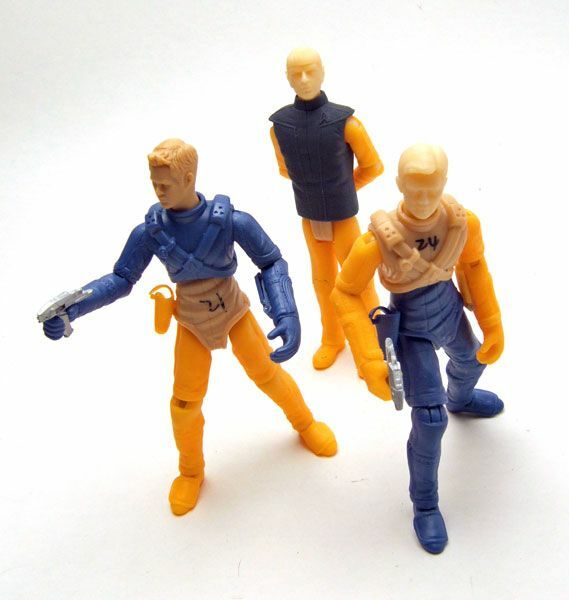 The skydiving figures would have featured removable parachute packs to plug into there. That's pretty sweet. Those are fascinating to see. I love these prototypes. 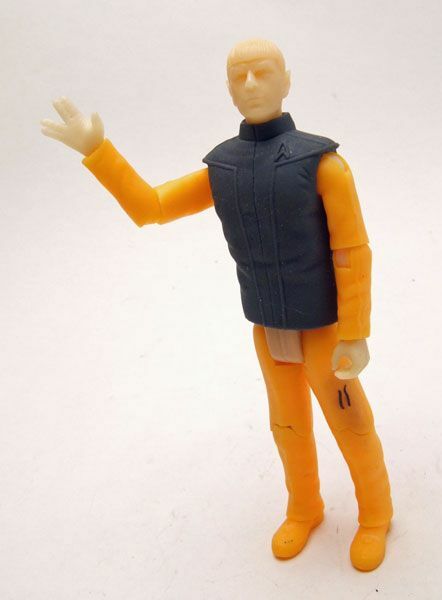 There's something cool about a prototype figure. Wonderful stuff. These would have been so cool. Too bad not even the deal with Entertainment Earth came to pass... My personal favorites would have been the two monsters from the ice planet sequence. Especially the red crab-cloverfield-monster-thing... Too bad. Wonder who picks up the license for the next film. As long as it's not Diamond or NECA I'll be fine with it. Otaku5003-could i by these from you? 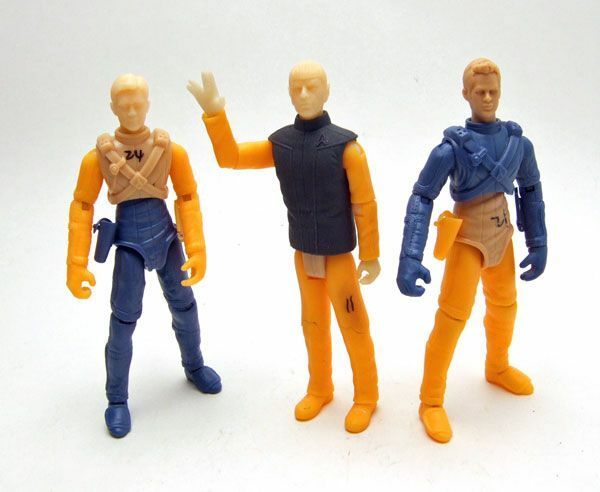 ill pay 25 dollars for each figure, promise. otaku5003-james thank you for giving me a chance to buy these from you i really appreciate it. 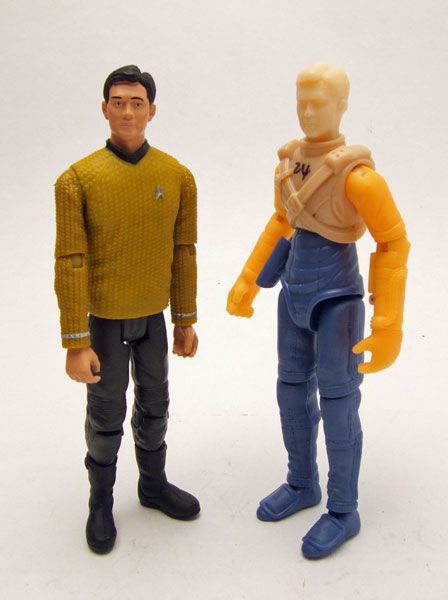 otaku5003-Hey james its me again, you wouldn't happen to have an extra sulu and spock head would you?